In the late 1990s, the phrase “jamgrass” emerged. As groups across the country blended bluegrass, folk, country and improvisation into a new creation, Yonder Mountain String Band experienced a meteoric rise. Mandolin player Jeff Austin and banjoist Dave Johnston had moved from Illinois to Nederland, Colorado, where they met bassist Ben Kaufman and guitarist Adam Aijala. “The reason I moved to Nederland was the music scene,” Austin said. “I knew what I wanted to do with music and I had an idea of what kind of folks I wanted to meet. Luckily, we all had the same mindset of what we wanted to do with bluegrass, the common language that we all knew. Yonder Mountain String Band, which formed to play an opening set at the Fox Theatre in Boulder, developed a loyal following among bluegrass and jam band fans, playing fests in New York, North Carolina, Kansas, Oregon and California, and big summer sheds like Alpine Valley and Deer Creek. The band was known to stretch its tunes out to great lengths, and to insert surprises like Ozzy Osbourne tunes and Michael Jackson songs. 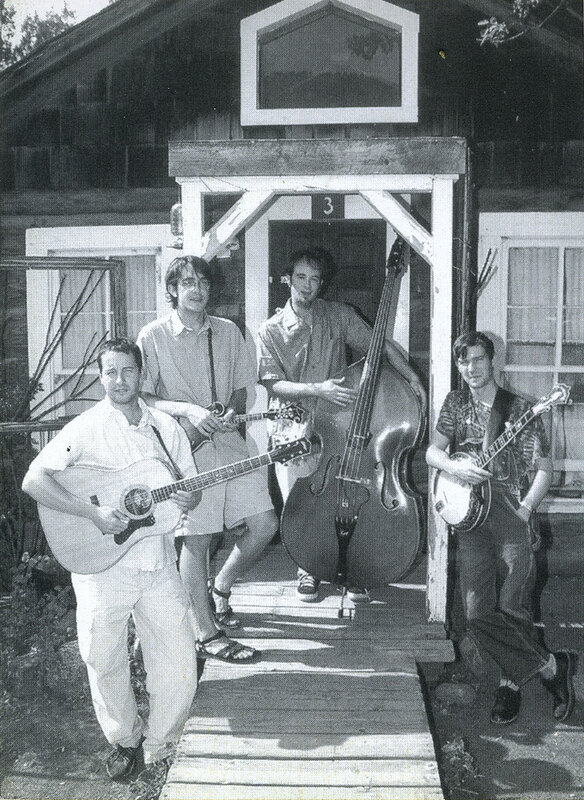 In 2002, Ryko Distribution began distributing Yonder Mountain String Band’s four albums, which had sold a combined 100,000 records since the its inception. The group then released two studio albums with rock producer Tom Rothrock (Beck, Elliott Smith, Foo Fighters) and several live recordings. YMSB was a regular at bluegrass festivals like the Telluride Bluegrass Festival and the band’s own Northwest String Summit as well as massive multi-stage events like Austin City Limits Festival, Bonnaroo and Rothbury. In 2008, Yonder Mountain String Band performed at the Democratic National Convention in Denver at Invesco Field at Mile High, opening for Barack Obama, who accepted the nomination for President in a speech before a record-setting crowd of 84,000 people in attendance. Austin parted ways with the band in 2014.